Stylishly updated one bedroom one bathroom home featuring open concept floor plan and large balcony. Kitchen and bathroom updates include granite slab counters, cherry finish cabinets, and tile flooring. 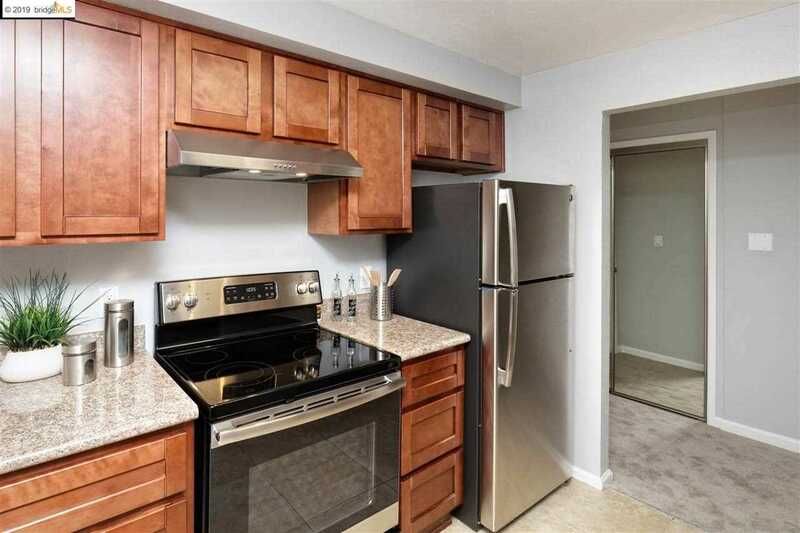 Kitchen also features stainless steel refrigerator, stove and dishwasher. One garage parking space included. The 66 Fairmount Villas is conveniently located only nine blocks from the 19th St. Oakland BART station and only two blocks from the Wholefoods Market. Plenty of AC Transit stops nearby on Oakland/Harrison as well as two blocks over on Broadway Ave. where the new Sprouts Farmers Market is located. SchoolsClick map icons below to view information for schools near 66 Fairmount Ave Oakland, CA 94611. Listing provided courtesy of Stefan Brunnschweiler, Winkler Real Estate Group. Home for sale at 66 Fairmount Ave Oakland, CA 94611. Description: The property at 66 Fairmount Ave Oakland, CA 94611 with the MLS# 40849313 is currently listed for $452,500 and has been on the Oakland market for 79 days. You are viewing the details of the real estate listing from the East Area MLS at 66 Fairmount Ave Oakland, CA 94611, which features 1 bedrooms and 1 bathrooms, and has approximately 632 sq.ft. of living area.